Land Rover Colorado Springs currently has a great deal on this preowned 2011 Land Rover LR2 HSE 4WD in our extensive pre-owned inventory. This 4-door luxury SUV is priced at less than $19,000 with less than 47,000 miles! Equipped with a 6-speed automatic transmission with command shift and a powerful 3.2L I6 DOHC engine. This combination delivers an estimated 15 MPG city/22 MPG highway fuel economy. 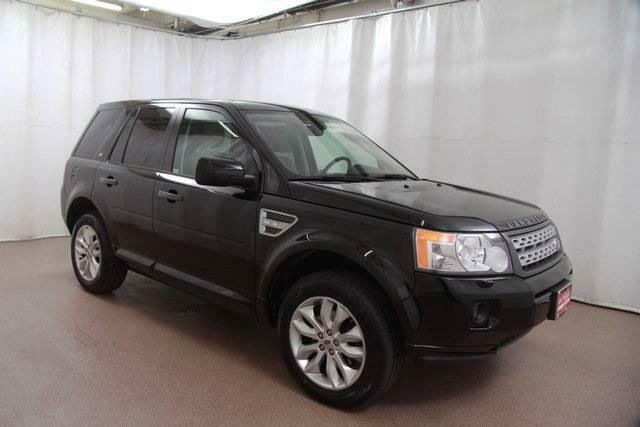 If you are looking for luxury features at a pre-owned price, you will love what this Land Rover LR2 offers. Power moonroof, steering wheel mounted audio controls, Alpine audio system, traction control, electronic stability control and parking sensors are just some of the features. Stop into Land Rover Colorado Springs and let us show you all of the features of this SUV. Take a test drive and experience the many features. We have many luxury pre-owned vehicles for you to choose from!